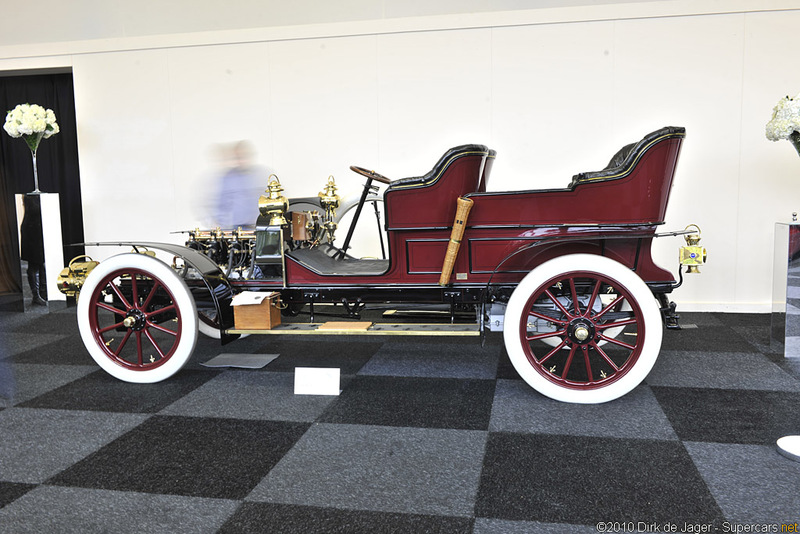 In the summer of 1904 de Dion-Bouton lauched their first four-cylinder car and called it the Model AD. Besides this engine, the AD incorporated several new components that distinguished the model from its predecessors. These included a pressed-steel chassis and a simple dry-plate clutch that acted on the flywheel instead of each separate gear. The new engine effectively replaced de Dion-Bouton’s twin-cylinder unit. It used five main bearings and automatic inlet valves with no valve gear. Throughout the production run, upgrades were made to the Model AD such as relocating clutch operation from a hand lever to a pedal on the floor. A long-wheel-base version known as the Model ADL was also offered. Following restoration, the De Dion was invited to the 2008 Pebble Beach Concours d’Elegance, receiving First in Class honours. It also won its class at the Newport Beach, California Concours as well as Best of Show at nearby Costa Mesa. 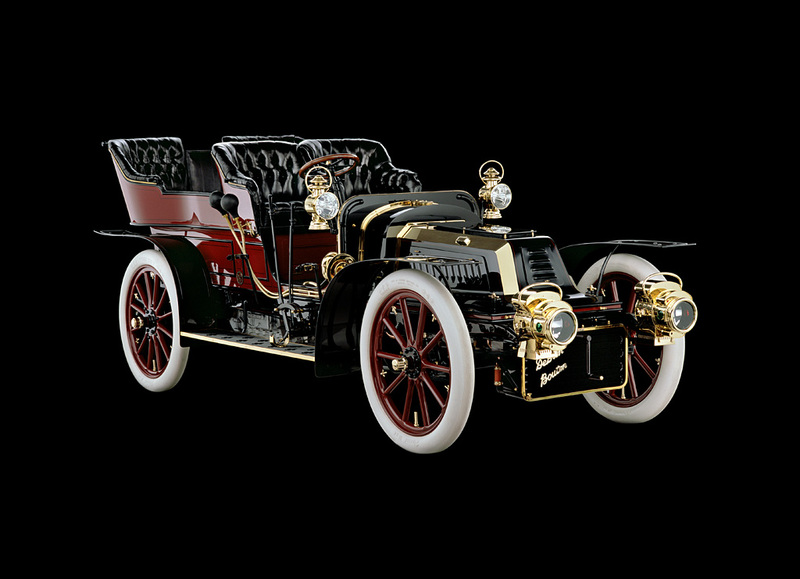 The car has been dated to 1904 by the Veteran Car Club of Great Britain and took part in the 2000 London-to-Brighton Run. A very elegant car in which to make a punctual arrival in Brighton, this venerable De Dion-Bouton comes with multicultural provenance and un-bottled joie de vivre.